Dominique Mustin (Jr.) is entered in the Girls 800m run for tomorrow's home invite. A few weeks back she broke her school record in the event at the Mountain Ridge Invitational. Could she have her sights set on braking it on her home track tomorrow on her home track? Meanwhile her sprinting teammates will undoubtedly bring the fire at home with Jadyn Mays (Jr.) enterred in the Girls 200m, Delphine Dah (Jr.) and Jayde Charlton (Jr.) entered in the Girls 400m, and Athena Montgomery entered in the 300-meter Hurdles. 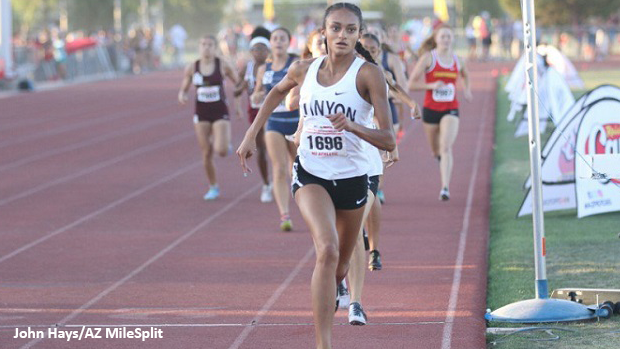 Check out the full heat sheets for tomorrow's Rattler Booster Invite at North Canyon HS. Field events begin at 9:30am, while track events are set to go off at 10:00am.